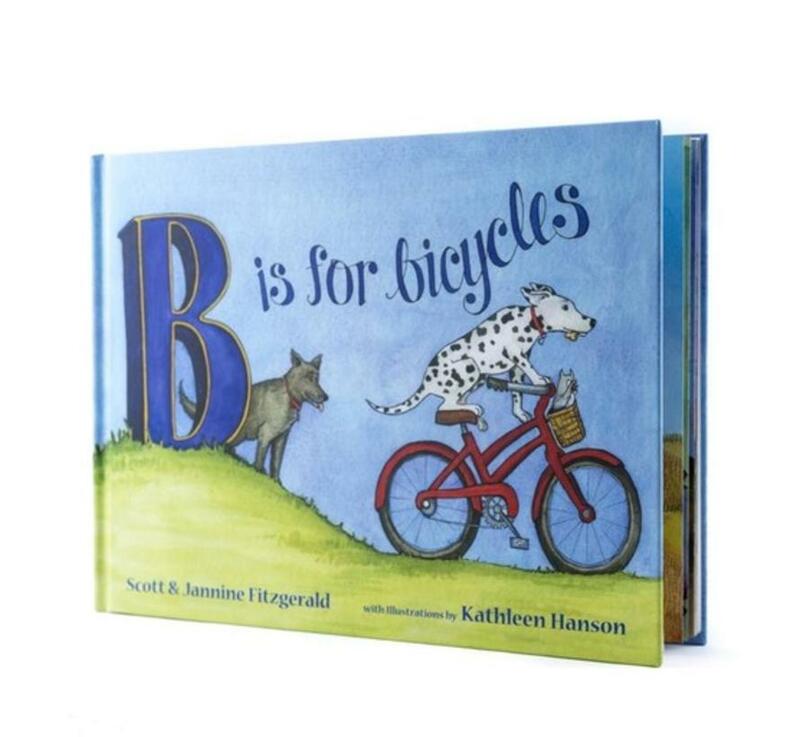 After 13 years as the owners of a local bike shop, Scott and Jannine Fitzgerald have launched their first children’s book project, B Is For Bicycles. 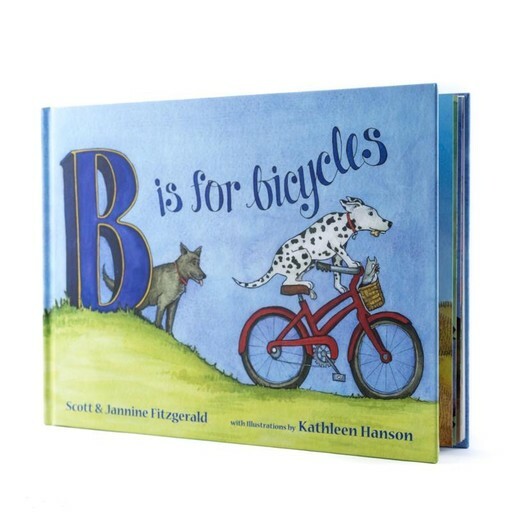 Fall in love with these two dogs, and their animal friends, as they fall in love with cycling explore the alphabet, and learn what makes the bicycle (and local bike shops) so amazing. 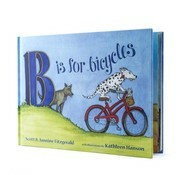 Illustrated in beautiful, original, watercolor art work, this hardcover book will quickly become the favorite at bedtime. Finally, a children’s book focused on the benefits of the cycling lifestyle: health, freedom, independence, self-reliance, self-confidence, and environmental stewardship. Fall in love with these two dogs, and their animal friends!